The BJP’s direction to the Ladakh unit to celebrate the grant of divisional status with much ‘fanfare’ is an indication that the saffron party is trying to retrieve its lost ground in the mountainous region through this historic decision by the Governor’s administration. 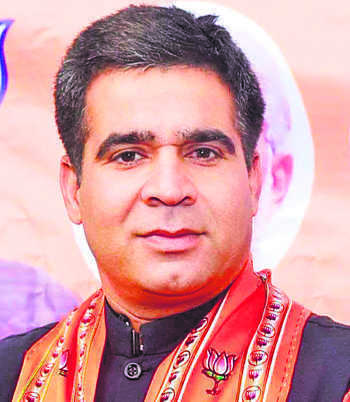 “The divisional status is a gift of Prime Minister Narendra Modi to the residents of Ladakh who have been facing discrimination and injustice since 1947,” BJP state president Ravinder Raina told The Tribune, adding, “The party has asked its cadre to celebrate the decision in the entire Ladakh region as a long-pending demand of people has been fulfilled by the Centre”. “We were committed to giving the Union Territory (UT) status to Ladakh but could not take any step due to opposition by the PDP,” Raina said and hoped that the divisional status would lay the foundation for granting of a UT status. After facing a humiliating defeat in the recently held urban local bodies elections in Ladakh, the BJP is trying to retrieve its lost ground, particularly in the Buddhist-dominated Leh. The resignation of veteran leader and MP from Ladakh Thupstan Chhewang from the Lok Sabha and primary membership of the party has further compounded BJP’s woes in Ladakh. “The historic step will definitely help us to come out of the recent setback that the party has received in the local body polls,” Raina hoped and exuded confidence that the party would retain the Ladakh Lok Sabha seat in the coming elections.